Ideas Group, in York, have won a competitive tender against agencies from around the UK, for the new Visit Parliament brand identity and summer campaign. 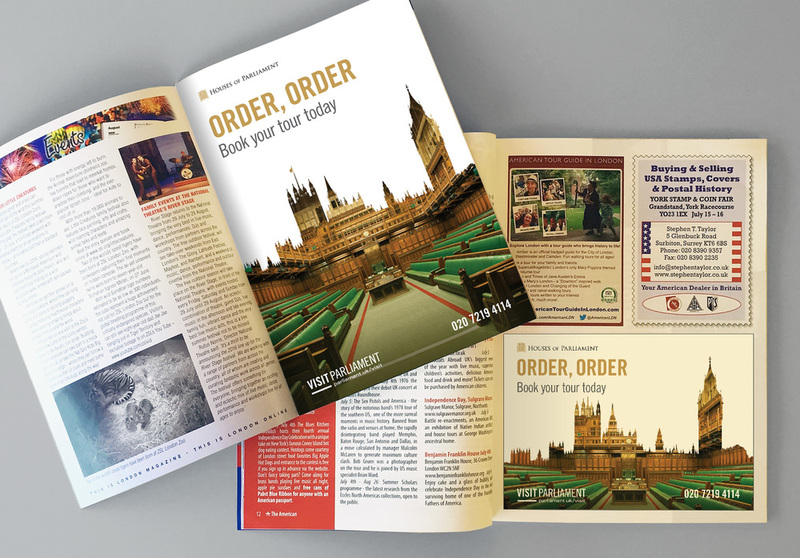 Welcoming nearly 1 million visitors a year the Visitor Services team at the Houses of Parliament wanted a fresh and inspiring feel to their brand and marketing campaigns to communicate that Parliament is open for anyone to visit. The famous silhouette of the Palace of Westminster frames images of the interiors revealing an enticing glimpse of the stories to be found in over 1000 years of history: From the 11th century up to New Dawn – a stunning glass and light installation celebrating women’s suffrage unveiled in June this year. The headlines acknowledge well-known phrases heard in the House of Commons and House of Lords. Ideas Group commissioned award-winning, York based photographer Grahame Mellanby to capture the fascinating interiors including heraldic beasts, stained glass and the famous green and red benches. Ideas Group also created a PR campaign which gave commuters and visitors to London the opportunity to sit on a replica House of Commons green bench at Victoria Station. The bench was built to the same dimensions as the real ones and will be used at high profile venues, events, festivals and trade shows – a focus for selfies and the only chance you’ll have to sit on a green bench unless you become an MP! The new brand and creative work will feature in an extensive poster campaign across the London Tube and mainline rail network throughout August as well as through the travel trade in the UK and overseas. Based in York and working nationally and internationally since 2003 we are an ideas driven, creative group delivering powerful and effective ideas to transform businesses and brands. Ann Gurnell, Marketing Director: Before joining Ideas Group early in 2016, Ann headed up marketing and communications for Continuum Attractions and led the brands, marketing and launches of award winning Coronation Street the Tour and York’s Chocolate Story. Nick Waters, Creative Director: Experienced creative consultant and project director and a director of Ideas Group for over 10 years. Nick Townend, Managing Director: set up Ideas Group in 2003 and has a background in innovation and creative design including for the National Space Centre and National Coal Mining Museum. The Palace of Westminster is one of the world’s most iconic buildings, home to the Houses of Parliament. Alongside its role as a busy working building, the Houses of Parliament is a popular and highly rated visitor attraction. There are many different ways to visit and options vary dependent on the business of the house, day of the week and time of the year. The Visitor Services team welcome both commercial and democratic access visitors to the Houses of Parliament. In 2015/16 it is forecast that Parliament will welcome over 1 million visitors, of these 220,000 will be ticketed paying visitors.